Good afternoon everybody. Hope you are all keeping warm in this chilly weather. 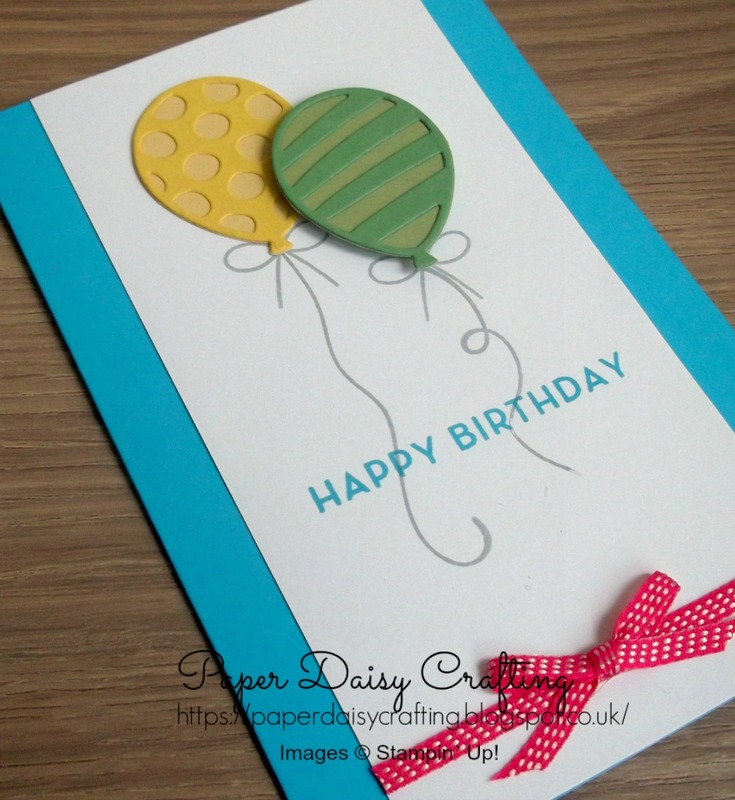 Following on from yesterday's post, I have another card today for you, featuring die cut balloons using the "Pop Up Balloons" die set in lovely bright colours. 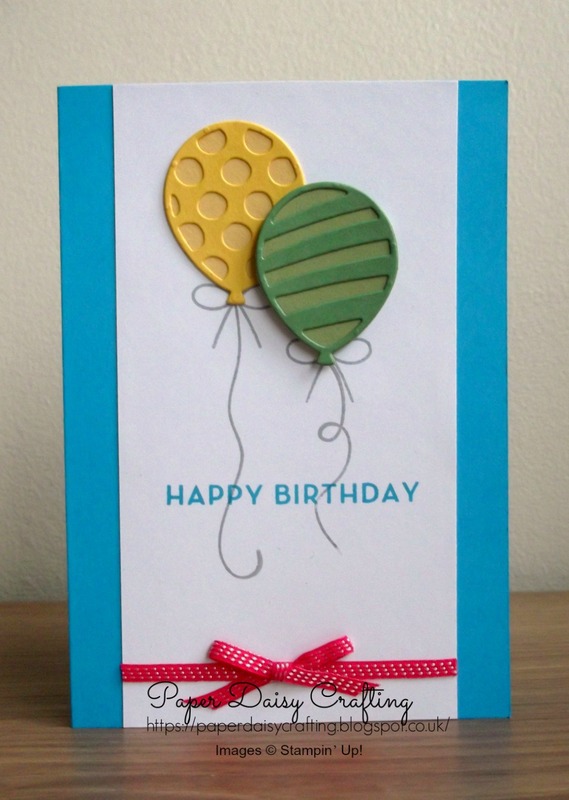 I think that's all I have to say about this card - I love it. Again the simple design and clean lines really appeal to me although I know that that style is not everyone's cup of tea. Tomorrow I'll show you the third (and last for now) card in this series. 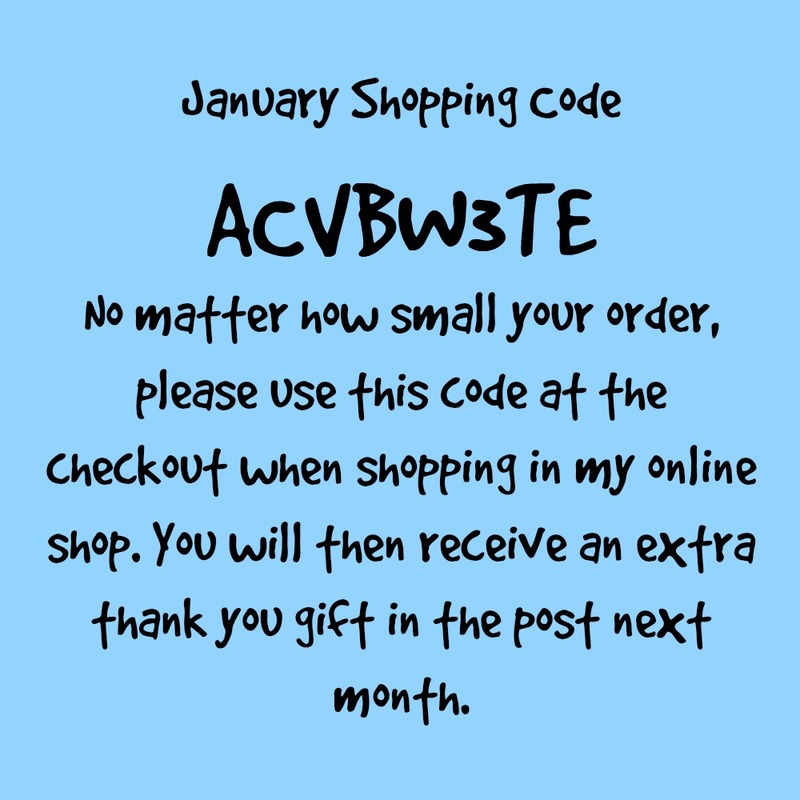 Don't forget that the Sale-a-bration promotion is still going on. Earn fabulous free goodies with every purchase of £45. For more details see my blog post here. 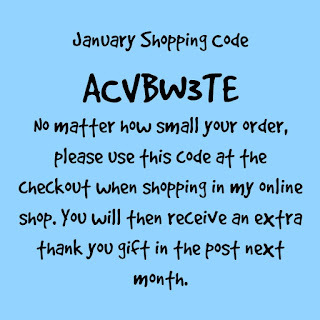 And don't forget to use or mention the January shopping code when ordering from me this month to receive a thank you gift in February.